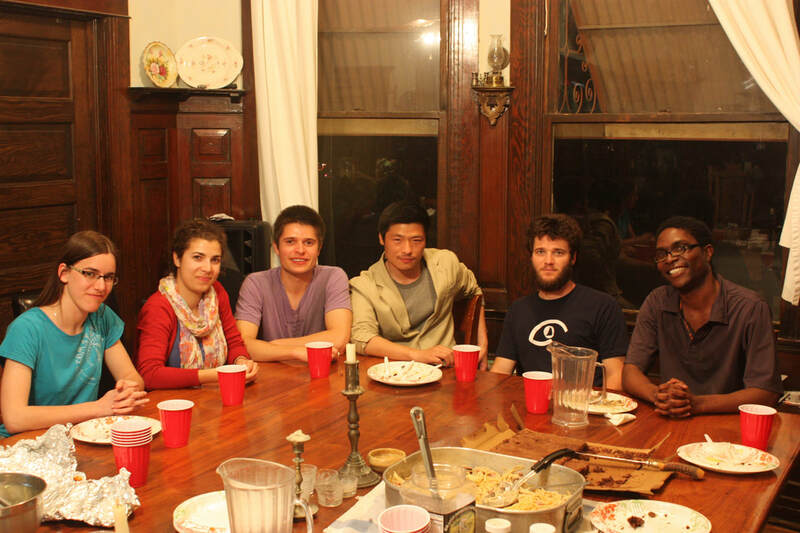 Each week our resident community of students, graduate students, and visiting faculty comes together for a dinner and discussion. 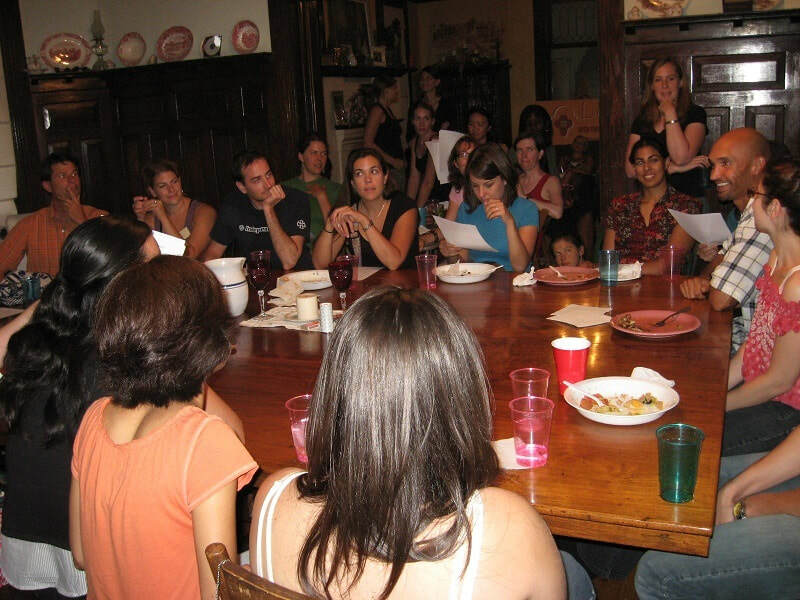 The dinner is a home cooked meal around a table that can fit around 20 guests. Biblical texts are read and discussed to engage students minds and hearts to the relevancy of faith in Christ can mean in today’s world. The diverse resident community comes from U.S., Europe, the Middle East, and Latin America and they hold various religious or non-religious views of Buddhism, Islam, Atheism, and various Christian sects. 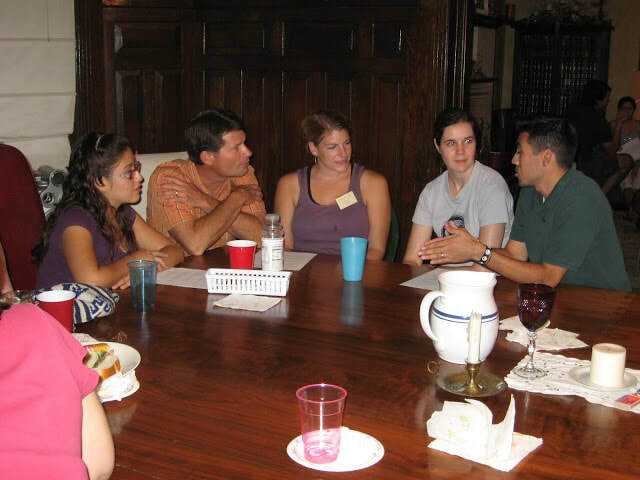 Students are free to ask questions and to share their faith traditions and practices. Our goal is to provide a safe place where people can share who they are, find answers to their spiritual questions, and grow in understanding of the Bible’s relevancy in their academic studies and personal lives.